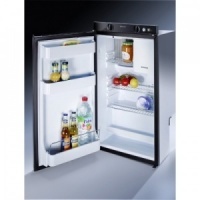 Enjoy perfect design for maximum comfort, safety and easy installation with Dometics absorption technology refrigerators. No clicking, no humming, no noisy engine will disturb your peace. 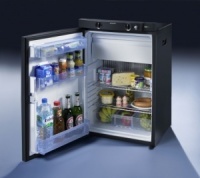 The Dometic 1-series fridges feature two slim absorption fridges popular with owners of vintage campervans. 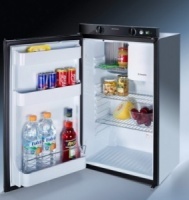 The Dometic 5-series fridges are compact classics featuring contemporary looks and come in two different heights. 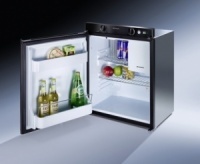 The Dometic 8-series fridges are the refridgerators for the future. 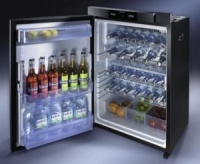 They are innovative and combine individual usage with modern design. 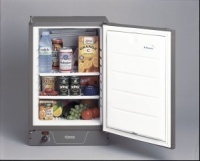 Slim Fridges - popular with owners of vintage campervans such as the VW Split Screen, VW Bay Window or VW T25 the Dometic RM122 and RM123 refridgerators are slim and compact fridges that will fit into tight kitchenette of most campervan conversions.